You are cordially invited on behalf of the Financial Policy Council’s Board of Directors, to our next Financial Policy Council private briefing with Dr. Yaron Brook; Eonomist, Author and Entrepreneur. 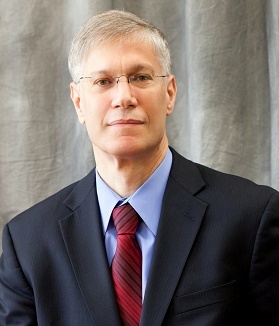 Dr. Yaron Brook is the executive director of the Ayn Rand Institute. He is a columnist at Forbes.com, and his articles have been featured in the Wall Street Journal, USA Today, Investor’s Business Daily, and many other publications. Dr. Brook is a frequent guest on national radio and television programs and is a co-author of Neoconservatism: An Obituary for an Idea and a contributing author to Winning the Unwinnable War: America’s Self-Crippled Response to Islamic Totalitarianism. He is also co-author with ARI fellow Don Watkins of the national best-seller Free Market Revolution: How Ayn Rand’s Ideas Can End Big Government. A former finance professor, he speaks internationally on such topics as the causes of the financial crisis, the morality of capitalism, ending the growth of the state, and U.S. foreign policy. Dr. Brook was born and raised in Israel. He served as a first sergeant in Israeli military intelligence and earned a BSc in civil engineering from Technion-Israel Institute of Technology in Haifa, Israel. In 1987 he moved to the United States, where he received his MBA and Ph.D. in finance from the University of Texas at Austin and became an American citizen in 2003. For seven years Dr. Brooks was an award-winning finance professor at Santa Clara University, and in 1998 he co-founded a financial advisory firm, BH Equity Research, of which he is presently managing director and chairman.